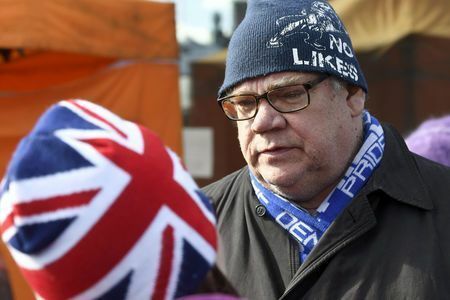 A man wearing the logo of a right-wing anti-immigration group threatened Finland’s foreign minister at an election rally on Sunday, but was quickly restrained. Shocked but unhurt, Timo Soini thanked police for quickly stopping the man, who was wearing a black shirt from the Soldiers of Odin group – named for a Viking god. Next Article Next post: These people would have been disappointed if I had not married my wife – Sola Fosudo.